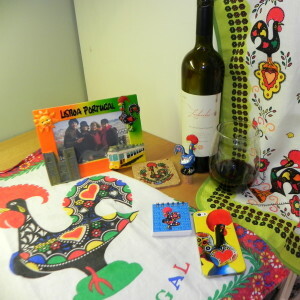 On a recent trip to Lisbon, Portugal I discovered the Galo de Barcelos. 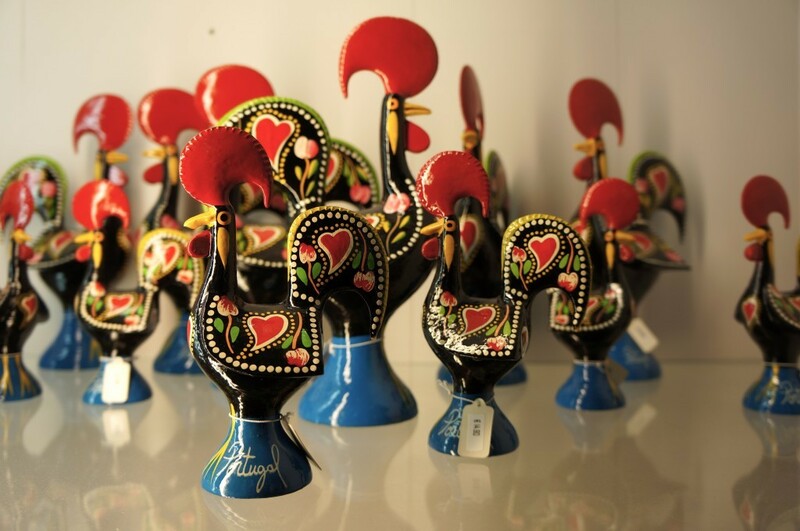 It's essentially the unofficial symbol of Portugal and is in every souvenir shop. 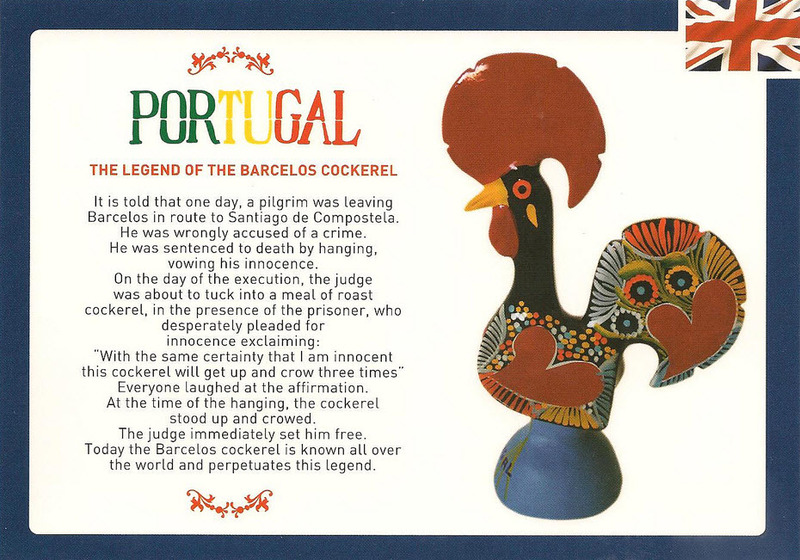 Signs are everywhere telling you the story of the Galo de Barcelos. 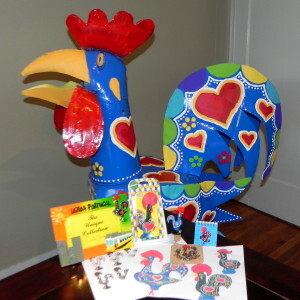 When it came time to usher out Rudolph chicken, I thought about doing a Valentine's Day theme. While pondering this idea, I removed the wine bottle stopper to pour another glass of zin, and wiped my hands on the dish towel, which was hanging near the apron, and set the wine glass on the coaster, which was near the picture frame. 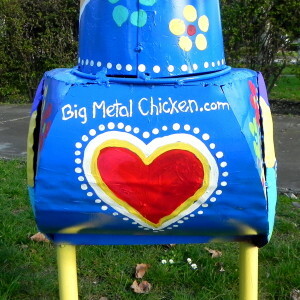 I started to jot some ideas in a notepad, when my phone rang... and suddenly I knew how I should paint the BIG METAL CHICKEN. I'm quick like that. 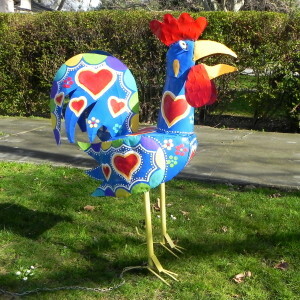 I love the chicken. I walk by it on my way to the beer store and back. 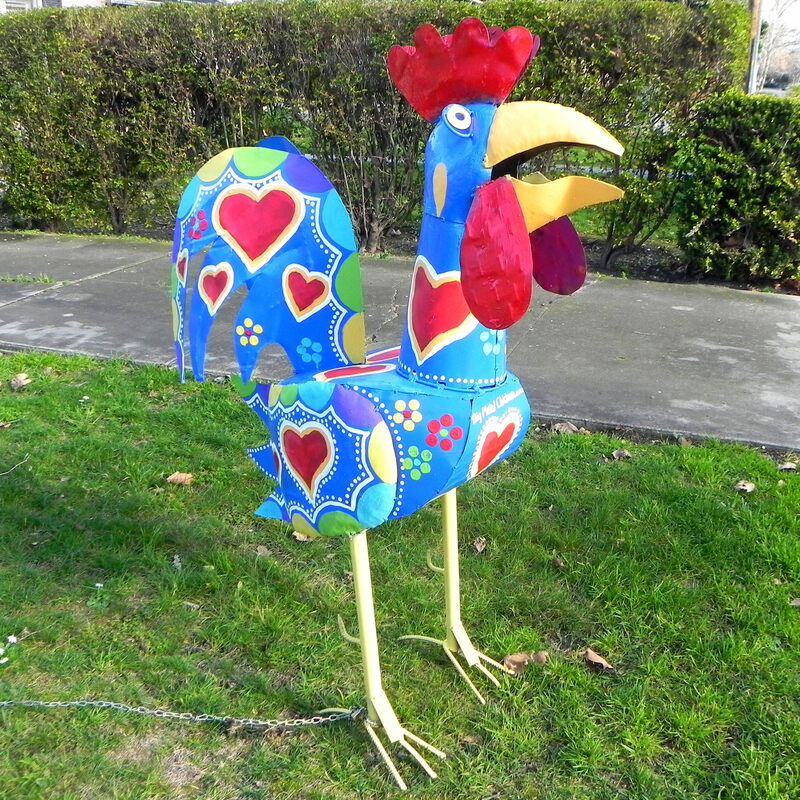 I saw a similar one in Portland recently, but I didn’t care for the facial expression. 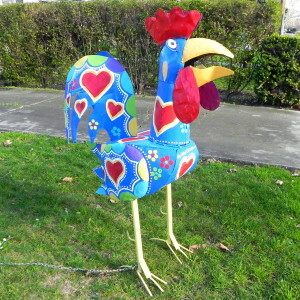 One must get the right chicken. Also, it would have been hard to bring home on the plane.